The robo-tastic new series of the year, from a hugely talented storyteller. Meet Crank and Al ...robots on the run. The Wastelands are a dangerous place to be. When the robot friends run out of fuel, they have to join a convoy making its way to the old coliseum. But the leader of the convoy is not all he seems. 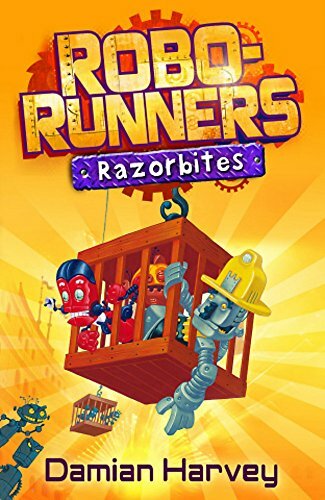 And his vicious robot pets, the Razorbites, are ready to take care of anyone trying to break free ...Why are robots so desperate to escape? And what's waiting for them at the coliseum? A refreshed cover look for this well-loved series, illustrated by the incomparable Mark Oliver. Read on with The Tin Man, Tunnel Racers, Powerball, The Ghost Sea and Aquanauts.